CHIREC (Centre Hospitalier Interrégional Edith Cavell) builds at the moment a completely new hospital in Delta-Auderghem. This new site, regrouping the Edith Cavell and Leopold Park hospital sites, will open in the course of 2017. Eneria provides the full emergency power supply of the new Delta site. 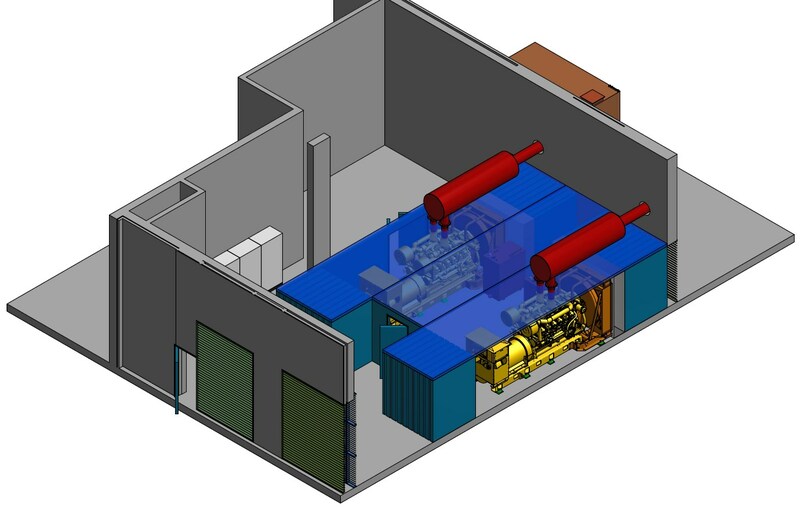 The installation is made up of 2 locations on the site: 2 generators in the “Powerhouse” and 2 generators in combination with 2 dynamic CAT UPS systems on the other side to supply the critical users of uninterrupted power. The critical users are not only of a medical nature, but include also the data center. Eneria also provides for the full control of the emergency power installation. The automatic control system manages not only start, stop, synchronizing of the various generators in the different scenarios, but also the disconnects and reconnects the different loads/users in function of the total available power during and after a grid outage.